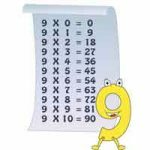 Math Sites Archives - Math Games: Fun! Submitted by AJ, from US, who is affiliated with the site. Submitted by Paul, from New York, USA, who is affiliated with the site. Submitted by Danny Demeersseman, from Belgium, who is affiliated with the site. Submitted by Maria Karlsson, from Sweden, who is affiliated with the site.